Created in a soft and luxurious jersey fabric the Gritis tunic is the perfect way to wear leopard print this season. The grey-on-grey pattern is stylish and feminine- perfect for an everyday look. 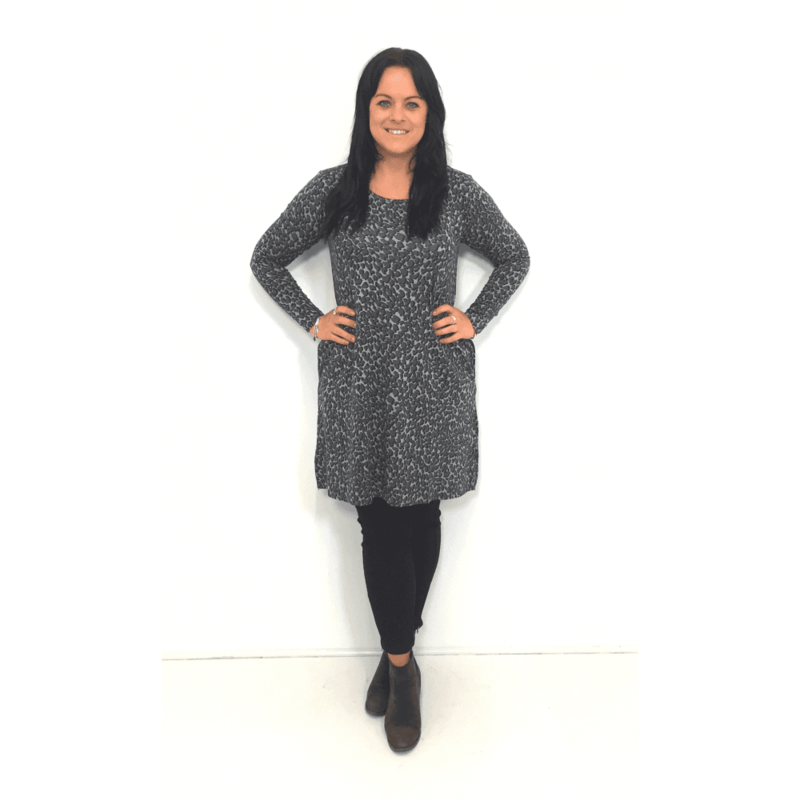 With a round neck, long sleeves and a loose silhouette this tunic looks great over leggings or jeans- perfect for your transitional wardrobe. Model wears a size Small and is approx 5ft 6"